Deadline and other outlets are reporting that the great William Goldman has died. He was an amazing writer in all fields of endeavor and you could learn an astonishing amount just by watching him work. Marathon Man, All the Presidents Men, Butch Cassidy & the Sundance Kid, Chaplin… the astonishing list goes on and others with greater media crit credentials than I will no doubt give his works the attention they deserve. He was also a most peculiar headache to booksellers the world over because he had the utter audacity to write an amazing book called The Princess Bride. If you only know the movie, you might not realize that the book is interrupted even more than the movie is by exchanges between the grandfather and grandson, breaking the fourth wall, funny asides, wandering footnotes, etcetera. It is even more convincing that it is an abridgement of a longer work by the mysterious S. Morgenstern. The funny footnotes and crazy asides were very likely my first brush with footnoted meta-humor, which paid out in Howard Carter Saves the World (currently out of print). 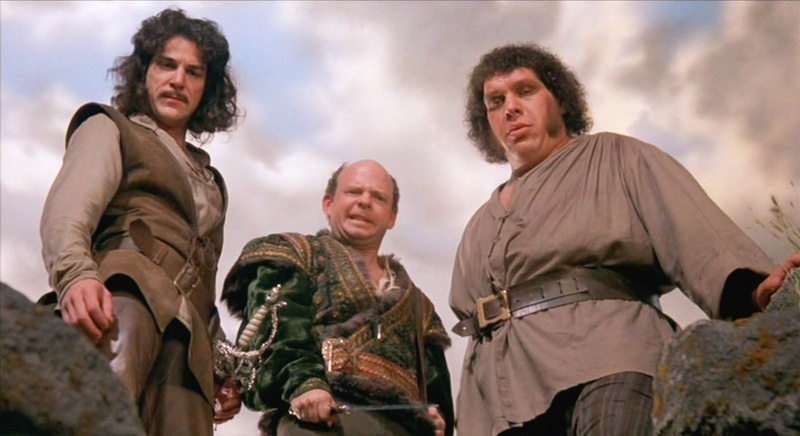 But as a bookseller I especially came to dread The Princess Bride after the first of many encounters with patrons who insisted that Mssr. Morgenstern was not only a real person, but that there was an unabridged edition of the book Out There Somewhere! Inevitably, I ended up putting on a big show of searching for the thing to prove to them that the thing wasn’t really a thing, adding yet another layer to the greatest meta-story ever told. Dragooning both the readers and the booksellers of the world into perpetuating the mythos of your story… well, that’s the mark of the consumate storyteller. Darn him. The movie, of course, is one of the great comedies of our time. I still quote it almost every day. I gave my wife a beautiful edition of that damn book on our wedding day. It’s been that important to us. So we bid a fond farewell to Goldman, Mssr Morgenstern, and all the other characters bouncing around inside one of the great storytellers of our time. He will be greatly missed.